There’s a short list of places that consistently trick us into buying more than we need. Be honest with yourself: When’s the last time you walked into Target and left with just one thing? Brick-and-mortar destinations like this have forced us to create an actual budget, but it’s 2017, and online spots are just as dangerous for our wallets, especially Amazon. We’ve bought everything from a couch to designer threads on the commerce site, and now, some of us are forgoing the drugstore to get our beauty must-haves without leaving the couch. 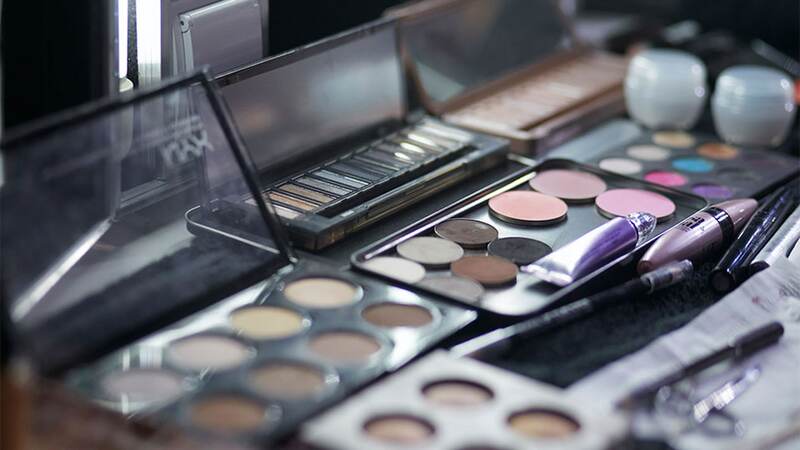 In recent years, the site’s beauty channel has grown to include a massive inventory of products for pretty much everything we need. At first glance, it seems like a dream come true, but with more options come more difficult decisions to make and things to worry about. For instance, is that price too good to be true (spoiler alert: probably)? Will this limited-edition lipstick I just bought expire tomorrow? There’s always the risk of not getting what you paid for, but if you tread lightly and keep these five things in mind, you’re headed in the right direction. Amazon and other well-known shopping sites typically allow unauthorized retailers to sell products, which means you have no idea who’s behind the products you’re buying. When browsing the beauty section, aim for the must-haves that are shipped from and sold by Amazon. This information is shown just under the price in the right-hand column next to the product photo. However, if you must have that makeup palette sold by JoeSchmo17, be sure to click on the retailer’s name first and check out the reviews. Do this with the same energy you use to review a product you ended up hating. Being aware of the seller’s quality control and shipping habits is extremely important whenever your credit card is involved. Pro tip: Run far away if there’s no return policy. If the brand doesn’t have final say, you probably shouldn’t pay! Before you throw a designer fragrance into your virtual shopping cart, make sure Amazon is an authorized retailer for whatever you’re perusing. Typically, this information can be found on the brand’s website under the “Store,” “FAQ” or “Terms and Conditions” sections. And if you’re really hesitant, don’t be afraid to reach out via social media too. One of the main reasons we flock to Amazon is because the prices are usually a lot lower than the original price. Who can blame anyone for taking advantage of that? However, there’s a very thin line between a true discount and “too good to be true.” Before you say yes to a luxe find, compare the Amazon price to the one offered on the brand’s website. Paying $20 for a $100 product usually indicates it’s been used or is counterfeit. Other bad signs include nonexistent bar codes or misspelled words on the packaging. Lastly, limited-edition items are usually sold in smaller bulks, which means you should buy it while it’s hot! Amazon and other sites like eBay sometimes offer steep discounts on discontinued items, but when they’re sold is a huge indicator of its expiration. For instance, if you found a limited-edition holiday 2016 lipstick today, chances are you will be getting an old tube since lipsticks have a shelf life of one year. In fact, you risk buying a replica altogether if the brand only made a limited quantity to begin with. Again, shopping for beauty products online is always a gamble, but the end result is really up to you.